Several recent publications have put the challenging road to prosperity for Africa center stage. 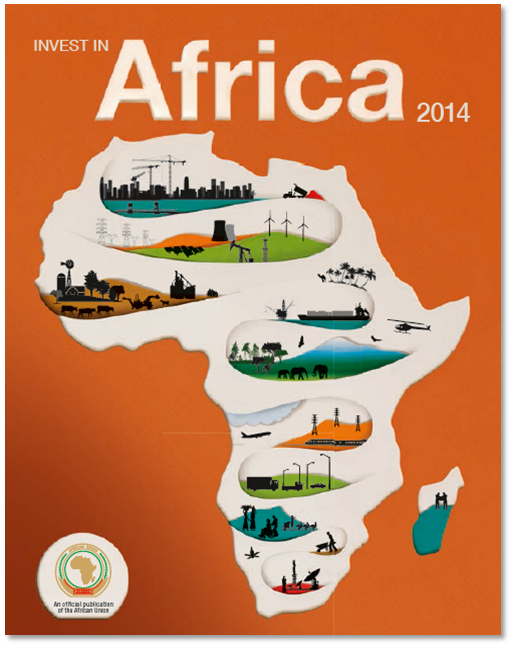 The most thorough assessment is in the 2014 Economic Outlook published by the African Development Bank (AfDB). It is comprehensive, covering all 54 African countries. Every year, the publication revolves around a central theme. 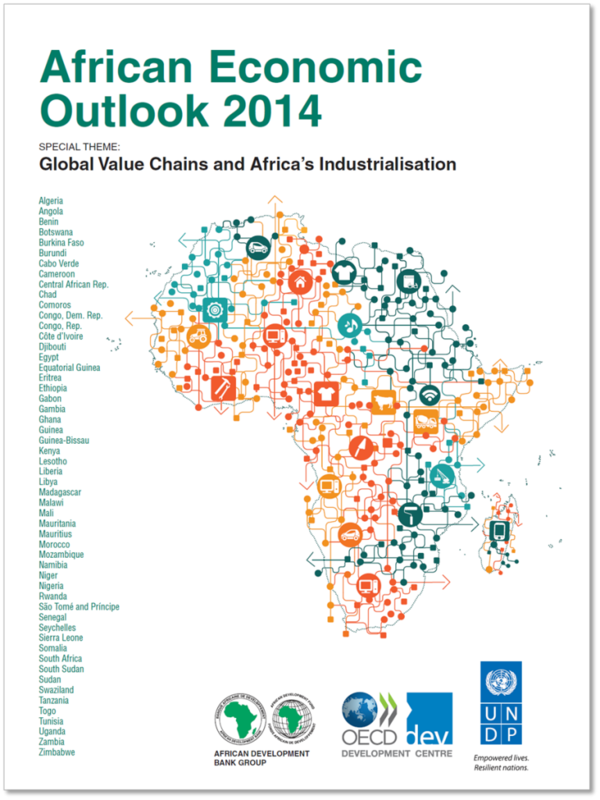 This year’s “Global Value Chains and Africa’s Industrialization” takes a hard look at how African economies need to move beyond exports of commodities and marginal agricultural and industrial sectors to meet growth targets. The report combines the overall theme with local data, sifting it through reports by multinational organizations and analysts to move beyond rhetoric to realism. Recommendations include praise for what has been done, and also what will accelerate progress towards each country’s largely self-defined goals. Another publication is “Invest in Africa 2014,” supported by the African Union but published independently by News Desk Media. Unfortunately, Morocco is not a member of the AU; thus the report is missing data and narrative from the second largest investor in Africa. Also absent is an in-depth look at cross-border investment opportunities. The AU report was previewed in a program at the US Chamber this week with remarks from the AU, US officials, and African Ambassadors to the US. Comments during the panel “Opportunities across the Continent” were striking in their similarity: From infrastructure and renewable energy to value-added agriculture and resource management, the key priorities were consistent from north to south, east to west. In introducing the program, Ambassador Don Gips, who co-chairs the Africa Business Initiative at the Chamber, focused on the upcoming US-Africa Leaders Summit in Washington, DC August 5-6, which will include separate private-sector elements: a Young African Leaders Initiative (YALI) meeting and a CEOs Forum. He said that the US goal is to increase US interest and investment in Africa. Yet, as a commentary issued by Brookings Institution pointed out, there are many challenges to a successful summit, especially the need for the African leaders to come with a unified, coherent agenda. Peter Barlerin, Acting US Deputy Assistant Secretary of State highlighted several positive indicators for Africa, including its rapid growth rate and young human resources. He also noted challenges, such as dealing with jobs and youth employment within an inclusive growth strategy. Mr. Barlerin emphasized the critical importance of involving the private sector and taking advantage of Africa’s resources in agriculture. Regarding negative perceptions of the continent, Olajobi Makinwa, Head of Transparency & Anti-Corruption Initiatives at the UN Global Compact, pointed out that government and stakeholders must confront gender and youth issues. She characterized government transparency regimes as “some good, some are bad, getting worse.” Ms. Makinwa said collaboration among public and private sectors and civil society is needed to support human rights and accountability. Ambassador Girma Birru of Ethiopia began the conversation on investment opportunities, mentioning agriculture and food industries followed by infrastructure, including power and railways, and value-added manufacturing. Ambassador Steve Matenje of Malawi spoke about factoring in climate change in assessing the agriculture sector ― gauging its effect on crop varieties and water management. Matenje also noted related opportunities in livestock and fisheries. Power and, especially, transportation linkages in roads, rail, and aviation are on his infrastructure list. Ambassador Matenje highlighted the importance of attracting young people to the huge potential in agriculture and paying close attention to gender inclusion. Ambassador Bockari Stevens of Sierra Leone repeated the need for transportation links among the countries in West Africa, along with added-value mining, attention to fisheries and airport management to meet growing demands, and opening new efforts in promoting financial services. Ambassador Daouda Diabaté of Côte d’Ivoire, chair of the African Ambassadors in the US, concluded the panel with comments related to the importance of peace and security for enabling economic growth, and the priority that West Africa is placing on highway linkages and greater economic integration. He restated the importance of utilizing the vast arable land resources of Africa to end the dichotomy of the co-existence of farmland and famine. Morocco’s strongest asset for investors is that it is stable, has a reputable and functioning business infrastructure, and very good relations throughout the western half of Africa. On the macro-level, swings in Morocco’s GDP have been more a function of the disproportionate impact of poor harvests on the economy than systemic issues. And Morocco is moving to “spread the risks” by attracting greater investments in manufacturing, tourism, and service industries for a more balanced economy. Morocco is also working to improve government efficiency and its effectiveness in attracting high value investments to generate high value jobs. Its trade balance continues to benefit from increases in exports of high-value products, although traditional sectors such as textiles suffer from poor consumer demand from Europe. Most importantly, based on the government’s agenda, Morocco knows where it needs to go. “Improvements to the support system for the private sector are needed and must still be implemented, in particular for land management, training, financing (especially for SMEs), and removal of bureaucratic red tape, as well as in the fight against corruption.” Recent initiatives such as the constitutionally mandated Economic, Social, and Environmental Council (CESE); Council on Higher Education, Training and Scientific Research; and the Competitiveness Council, made up of stakeholders, specialists, and government, underscore Morocco’s commitment to do it right. The AfDB report is not the only external source to recognize Morocco’s continued progress as a home for global business. 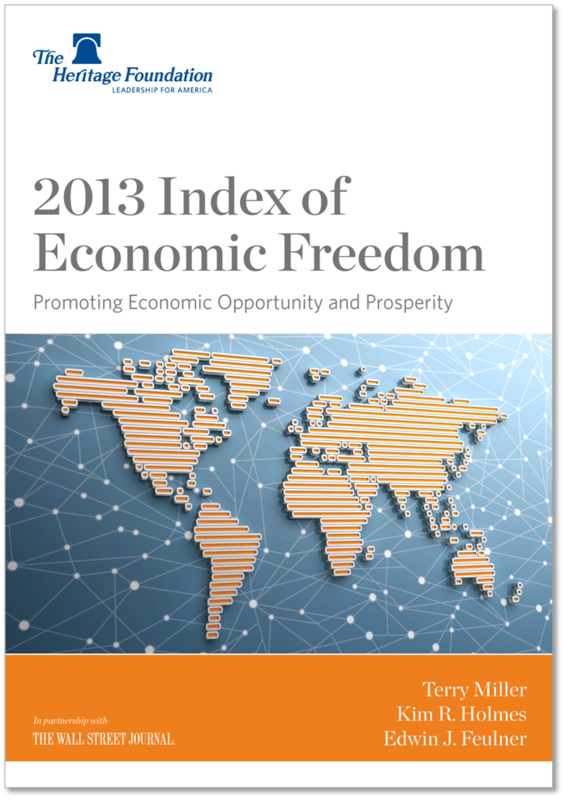 The Heritage Foundation’s 2013 Index of Economic Freedom report place Morocco ahead of Thailand, Indonesia, Russia, and Luxembourg based on the steps it has taken to date. Much more is expected of Morocco, and all indications are that it is ready to deliver a first-class business relationship, both as a destination for investment and as a hub for the region as a whole. Jean R. AbiNader is Executive Director of the Moroccan American Trade and Investment Center.